Prince Eric was a bonafide hunk. Let’s just take inventory of all the reasons that our man Eric here is a stud. Number one, the guy is a prince. This one’s a no-brainer, but being the heir to an entire kingdom is a pretty big deal. Number two, he’s got his own ship. Few things are more studly than owning and sailing your own ship across the high seas in search of adventure. He’s sort of like a pirate, except without the moral ambiguity. Number three, he’s got a look that will make any princess swoon. Not only does he have the perfectly unkempt hairstyle of a male model, but he also knows how to dress for success. He doesn’t hide his good looks behind a crown, or a bunch of heavy formal wear. He wears a simple outfit that makes him approachable by even the shyest of mermaids. Yes, if you’re trying to catch the eye of a certain mermaid princess, or you just want to be the most handsome prince in the land, then you want to take a note from Prince Eric’s book. Since becoming royalty is pretty hard without being born into a royal family, we think the best place to start in trying to become like the famous prince is with the wardrobe! That’s why you’ll want to start with this Prince Eric costume, which is licensed from Disney’s classic movie, The Little Mermaid! 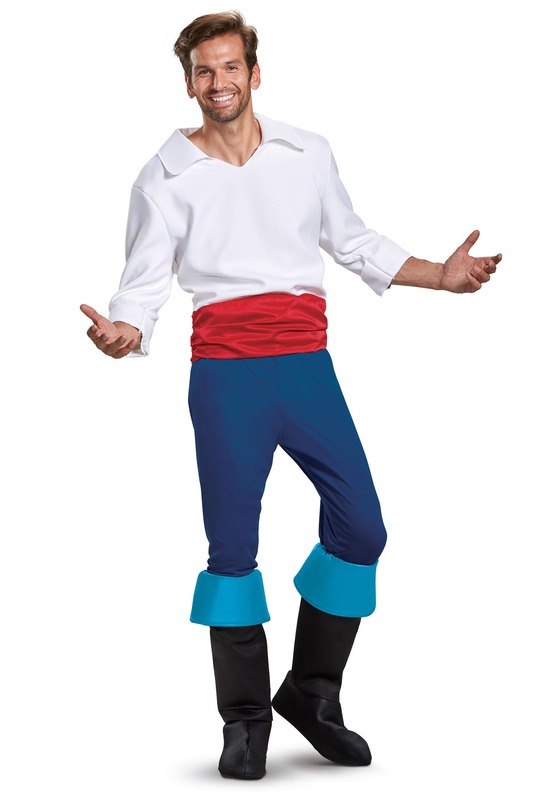 The costume comes with everything you need (sans perfect hairstyle and boat) to become the Disney Prince! The shirt, pants, sash and boot tops will help give you a rugged sailor-prince style, which is perfect for winning the heart of any mermaid. This is a simple shirt with a fastener in the back, and a wide nautical collar. The pants has elastic around the waist for the right fit, and you can put the included sash around the waist. The boot tops have elastic as well to give you those classic boots. It's officially licensed as well, so you know it looks straight out of the film. 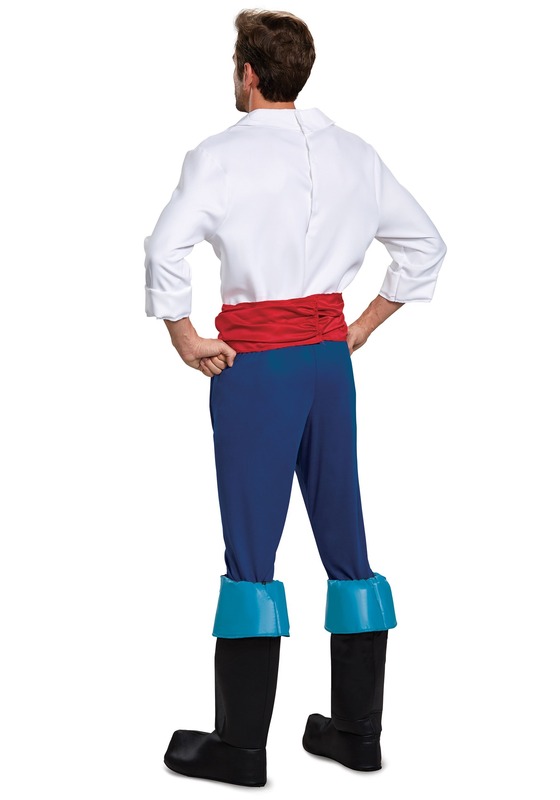 While you get ready to set sail in search of your own Mermaid, make sure you look the part with this Prince Eric costume for men!